This 2005 book focuses on the scientific and technological exploration of materials and devices with nonvolatile memory properties. Scientists and engineers working on diverse memory technologies come together here to highlight possible advantages and disadvantages of each expertise. A broad range of topics are featured - from fundamental materials properties and integration, to demonstration and industrial devices. Invited presentations are broad-based and more tutorial in nature, helping to illustrate major trends. 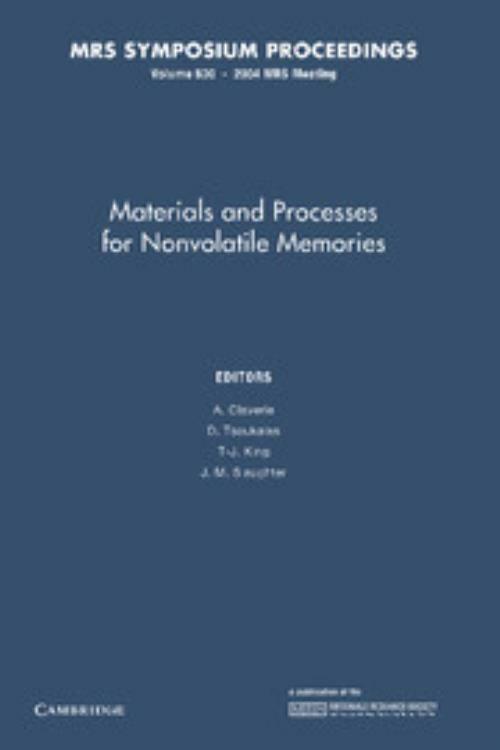 Topics include: nonvolatile memories with discrete storage nodes; ferroelectric memories; magnetoresistive randam access memory; nanoparticle memories; materials for nonvolatile memories and organic and resistive memories. D. Tsoukalas National Technical University of Athens. T. -J. King University of California, Berkeley.